Continuing my analysis of the Enron scandal, I looked at some of the key players in the Enron scandal. What can we discover about Enron’s People Of Interest by analyzing their email with SQL? Among other things, there was some very abusive management at Enron. Interestingly, there is very little in the emails regarding Andrew Fastow, the CFO of Enron, who was one of the main culprits. He is rather absent in this dataset. Fastow’s name is not even in the table, employeelist. Very odd. So I wonder, if when cleansing the data to protect privacy of certain people, did they also throw out the most important evidence? Apparently, according to this dataset, Fastow only sent 9 emails in his tenure, and only received 663. | mary.clark@enron.com | andrew.fastow@enron.com | 2000-10-10 05:15:00 | Wouldn t it be great to be named Most Innovative six years straight?Anything is possible at Enron. You were selected to participate in this year s Fortune Survey of Corporate Reputations. By now, you should have received a letter and a survey from Fortune. The information you provide will be used to select America s Most Admired Companies, as well as the Most Innovative Company in America for 2000 (Enron, right?). Please complete your survey and send it to me. I am collecting all the surveys and will send them together to the Fortune analysts. If you have already completed your survey and returned it to Fortune — that s okay — just let me know so I can mark your name off my list.Thanks for you assistance. My thoughts: Wouldn’t you want to wait until the deal was actually signed by the other party first, before making any announcements? Like Andrew Fastow, there are relatively few messages to or from Jeffery Skilling in this dataset. In this dataset, there seems to be very few emails of real business from Jeff Skilling. Most of the emails are broadcast announcements. A simple Group By of the messages revealed that of the 816 emails from Jeffery Skilling, most are duplicates. There are only 63 unique emails! Such as this one with HBS, just before the Enron scandal was about to blow. Seems that his assistant was doing his emailing for him. Or, the data has been over cleansed. A few emails from Ken Lay revealed that some individuals had wrote to him regarding a very toxic work environment at Enron, hoping that he would address the issues. | kenneth.lay@enron.com | —–Original Message—– From: ATroche851088951@aol.com@ENRON Sent: Sat 9/1/2001 5:36 PM To: KLay@enron.com Cc: Subject: Fwd: Mr. Kenneth L. Lay<< To: KLay@enron.com >>Content-Transfer-Encoding: 7bitReturn-path: <ATroche851088951@aol.com>From: ATroche851088951@aol.comFull-name: ATroche851088951Message-ID: <6b.19f2d29f.28c2b810@aol.com>Date: Sat, 1 Sep 2001 18:15:44 EDTSubject: Mr. Kenneth L. LoyTo: KLoy@enron.comMIME-Version: 1.0Content-Type: text/plain; charset=”US-ASCII”X-Mailer: AOL 5.0 for Windows sub 138 This letter is to ask to please check into the irregularities that are going on in your company Pro-Caribe in Puerto Rico.In this company there seems to be preference for two employees which are the favorites between managment, mr. Roberto Aponte and mr. Rafael Medina. The two employees do not work rotating shifts they have a steady day job make more money than the other employees overtime is always given to them a one hour break while the other employees have to sit back and are not able to do anything about it because if they do they will be put on suspension and their company motto is ,” If you dont like it quit”. All the recognitions and cashprices go to these two individuals they always come out employee of the yearor the trimestrial plant operator and then again there not plant operators.There is no opportunity for other employees to advance at this site becauseof the discrimination and abuses going on towards them and which is clearlyevident. Actually these two individuals hold the post that when there is anincoming ship they have to attend to it but lately this ship is not coming inas ofthen as it used to and yet this individualsstill earn the extra moneywithout lifting a finger. Some of the priviliges they have is that they donot have to work rotating shifts and they are off on holidays meanwhilethe other employees have to work the rotating shifts, work holidays and makeless money. Please mr. Loy it is in your hands to make justice for the otheremployees who work hard and yet they dont seem to be appreciated. Allpromotions and recognitions are based on the fact that the two employees havebought their way to their current positions by bringing in gifts and takingtheir employers out to dinner. This action which i believe is wrong becauseit is just like taking a bribe. Once again mr. Loy i ask for your help andhope you will be able to investigate and be able to straighten out thissituation. I have witness these events and i do not like any type ofdiscrimination i leave it in your hands. 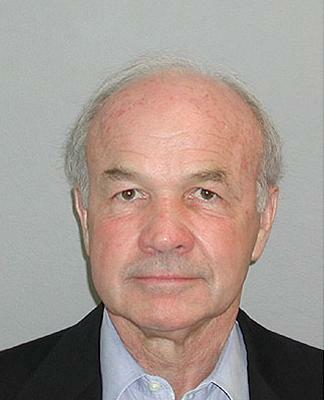 Abusive behavior in Enron, and its subsidiaries, were being brought to the attention of Kenneth Lay. Can we conclude that there is there a correlation between abusive, and illegal/unethical behaviour in companies? Which comes first? Would looking for abusive behaviour be a good indicator of unethical and illegal behaviour? I’ve often wondered that if an organization cheats or abuses its employees, would it also cheat the government, customers, shareholders, etc.? If you know of any studies, please leave a comment. This entry was posted on Tuesday, November 19th, 2013 at 8:49 pm and is filed under Data Science. You can follow any responses to this entry through the RSS 2.0 feed. You can leave a response, or trackback from your own site.